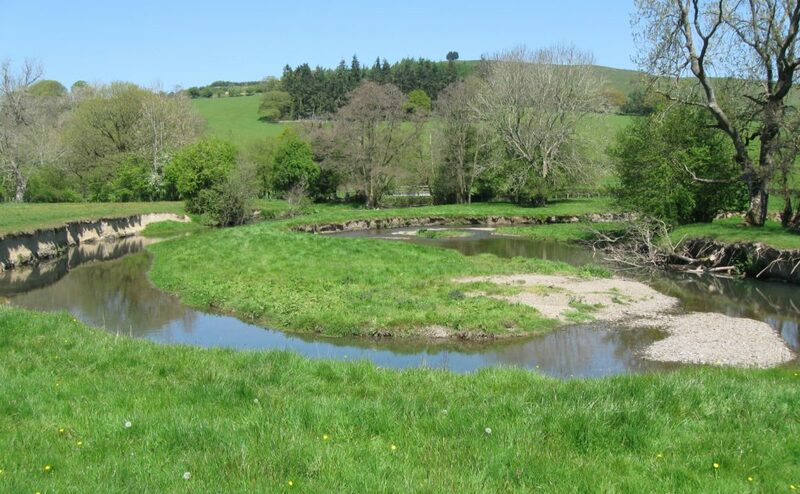 We’ve seen how the main flow of the river, the strongest current and fastest speed, is on the outside of the bend, undercutting and collapsing the bank repeatedly. Meanwhile, on the inside of the same bend, the other side of the river, the flow is comparatively slow, allowing debris to build up on a point bar, which plants will gradually spread onto. 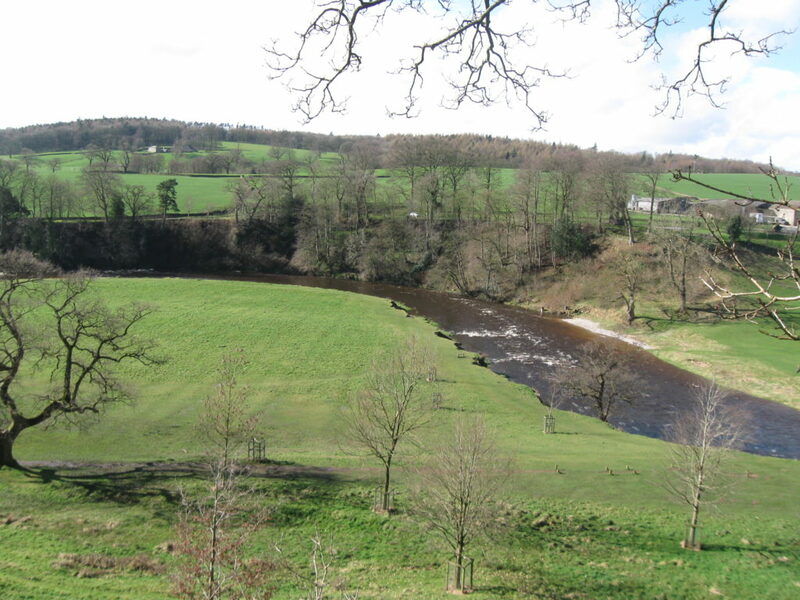 As the bank retreats on the outside of the bend, so the slip off slope on the inside of the bend advances and the position of the river meander changes. 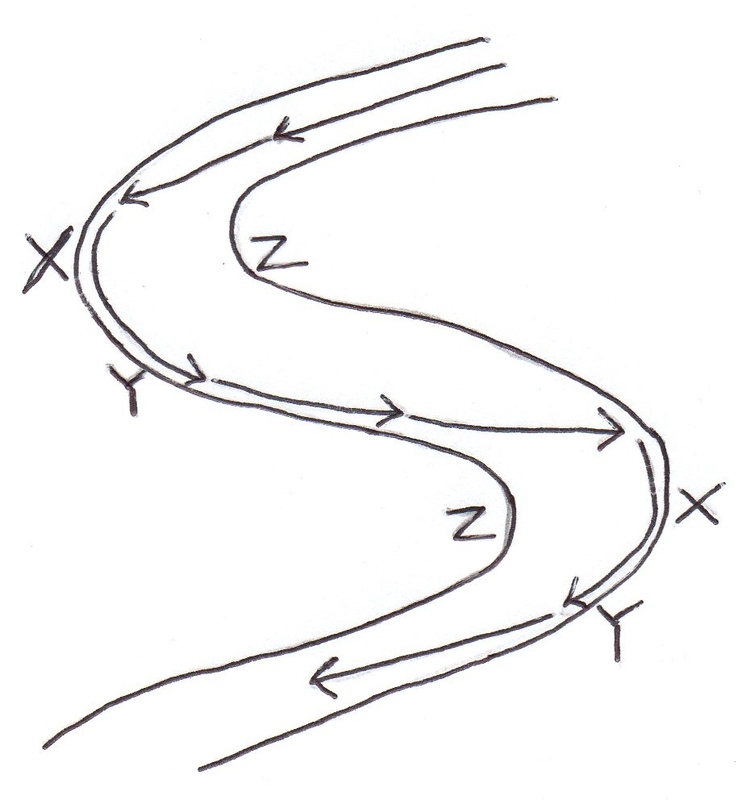 The diagram shows a meander from above, like you’d see it on a map. 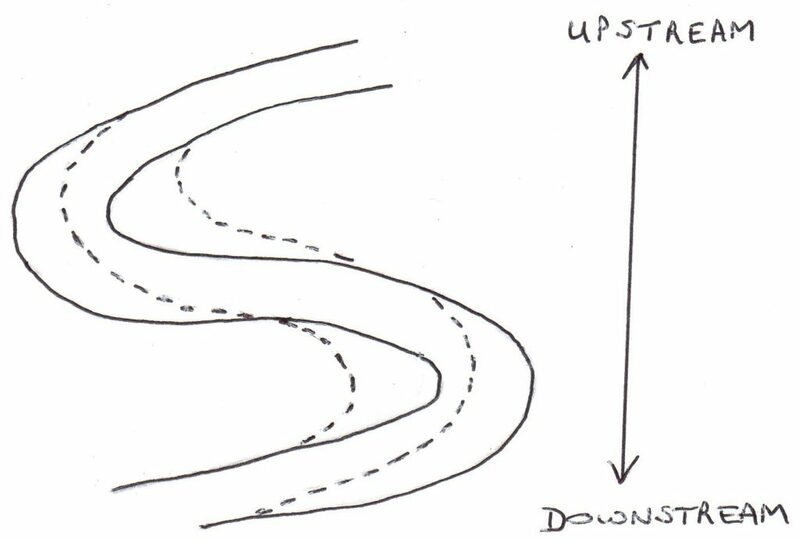 The arrows show the fastest current, travelling in a straight line until it is swung round by the curving bank. At X the bank is being undercut and eroded. If this is at the sloping valley side then you can get quite a cliff forming. At Z material is being deposited forming a point bar on the end of the slip-off slope. 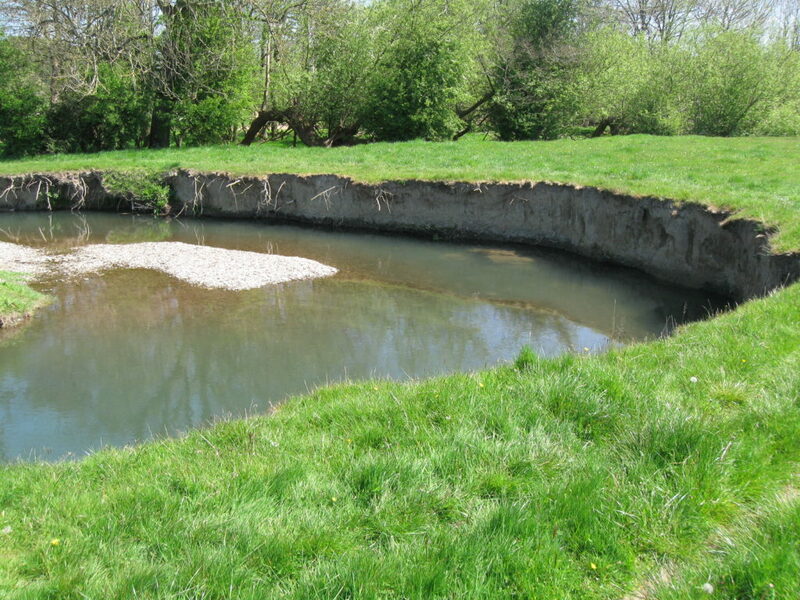 Notice though that the fastest flow is still in contact with the bank and eroding round the corner at Y. So, not only is the meander eroding a wider valley, by eating away the land at X, but the pattern is also moving downstream. In this diagram the dashed lines are traced from the previous diagram. That’s where the river was flowing. The solid lines show the new position of the channel. Can you see how the river’s curves have become even more curvy and the whole pattern has shifted slightly in the downstream direction? However, there is a limit to all this meandering around. I’ll tell you about that next week.